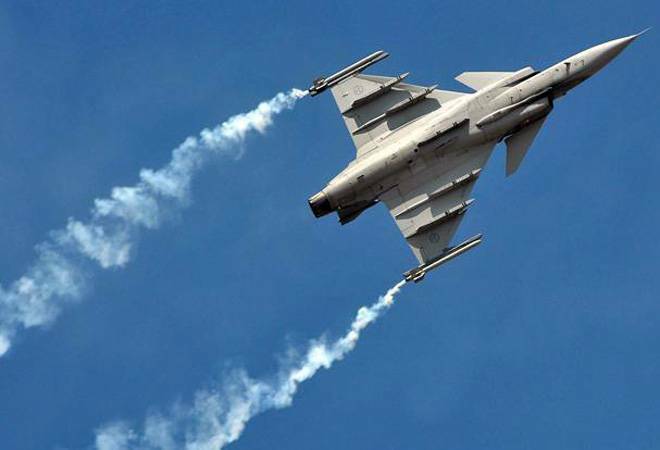 Defence Minister Nirmala Sitharaman said Saturday the number of fighter jets required by the Air Force changes from time to time, and the situation was different in 2001 when India decided to purchase 126 aircraft. One of the questions raised by the Congress about the Rafale deal is why the Narendra Modi government decided to buy only 36 aircraft instead of 126 as planned originally. Sitharaman was answering queries after delivering a lecture on 'India's National Security and the Importance of Rafale Deal' here. Asked about the number of fighter jets required by the Air Force, she said, "When the decision of procurement of 126 fighter jets was arrived at in 2001, the requirement of the Air Force was higher. Now after 20 years the situation has changed." "Now you have UAVs (unmanned aerial vehicles or drones), so in a situation of war are we required to send a trained pilot in a fighter plane inside the enemy borders? So requirements change from time to time. "In the UPA deal, they were just procuring 18 Rafale in fly-away condition, but we are procuring 36 in fly-away condition, delivery of which will start from September. For the rest that have to be manufactured we have issued a request for information (RFI)," she said. "We have given the contract to HAL (Hindustan Aeronautics Ltd) for 83 light combat fighter aircraft. Sukhois are being manufactured in India," she said. Asked if she had any doubts about the Rafale deal, Sitharaman said neither she nor her predecessors Arun Jaitley and Manohar Parrikar had any doubts about the PM's decisions on Rafale or any other defence deal. Under the UPA, defence procurement declined as "national security was not a priority but somebody else's financial security was a priority," the minister claimed, alleging that a "middleman (Dalal) culture" prevailed then. On Congress president Rahul Gandhi's allegation that the current Rafale deal benefits industrialist Anil Ambani, Sitharaman said the government had no control over which firm was chosen for the offset. "As per the offset clause...the company (to which) we give defence contract has to invest or procure 50 per cent of deal amount from India. The government has no control over with whom they do it. "In case of Rafale, the manufacturing company Dassault Aviation has not come to the Indian government so far on who will be the offset partner. So it would be premature for me to comment on who is the offset partner until the company informs the government," she said. Asked what was going to be the response of the Army to the February 14 Pulwama terror attack in which 40 CRPF personnel were killed, the defence minister refused to give any reply. Reliance Group has denied the allegations relating to the deal under which France's Dassault is supplying the fighter jets and has entered into a joint venture with Anil Ambani-led group firm to meet its offset requirement of the contract. To another question, the defence minister said the armed forces were not facing any shortage of ammunition. "Earlier such issues were there. But today we do not have such problems. We have given the power to the army to purchase ammunition," Sitharaman said. "We have enough quantity for ten days of intense war," she said.